Stuttgart. With the Petit Le Mans on the legendary Road Atlanta race track, the American Le Mans season draws to an end on 20 October. Six Porsche works drivers tackle the 1,000 mile race in the US State of Georgia. Joerg Bergmeister (Germany) and Patrick Long (USA) join forces with Patrick Pilet (France) and hope to score their second GT class win of the season in the Porsche 911 GT3 RSR fielded by Flying Lizard Motorsports. The Petit Le Mans is a highlight of the race series featuring the fastest sports cars in the world. The race on the 4.087 kilometre Road Atlanta circuit near Braselton, one of the most storied and challenging race tracks in the United States, has been contested since 1999. In the cockpit of Flying Lizard Motorsports’ Porsche 911 GT3 RSR, Porsche works drivers Joerg Bergmeister and Patrick Long team up with their factory pilot colleague Patrick Pilet (France). In the Falken Tire entry, Porsche works driver Wolf Henzler (Germany) shares driving duties with Bryan Sellers (USA) and Martin Ragginger (Austria). Driving the sister Flying Lizard-Porsche is Porsche works driver Marco Holzer (Germany) with teammates Seth Neiman (USA) and Nick Tandy (Great Britain). The sixth Porsche works driver in Petit Le Mans is Richard Lietz (Austria) who helms the 911 GT3 RSR of Paul Miller Racing with Sascha Maassen (Germany) and Bryce Miller (USA). The Porsche 911 GT3 RSR is the top model of Porsche Motorsport’s range of customer race cars. For the 2012 racing season, the vehicle received extensive modifications and has featured a new front splitter and an adapted rear wing since the race in Laguna Seca. 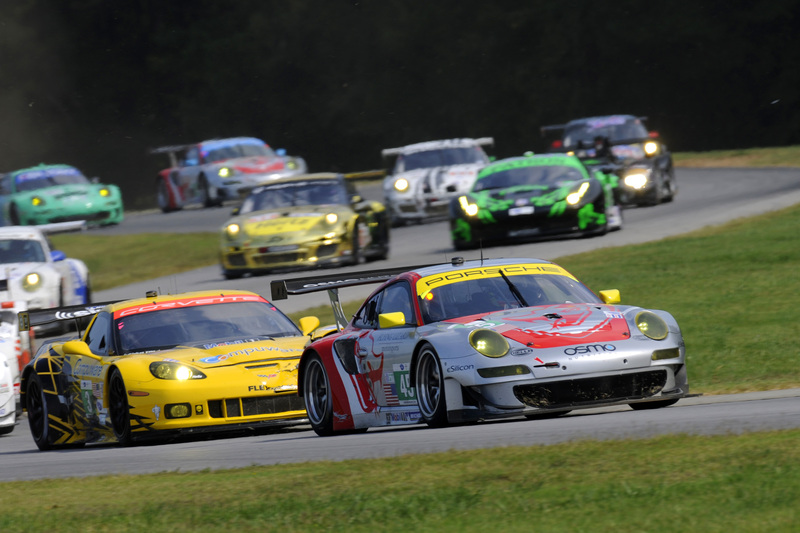 With nine GT victories since 1999, Porsche is the most successful manufacturer at Road Atlanta. Joerg Bergmeister set the benchmark with five wins in a row from 2003 to 2007. With the Porsche RS Spyder sports prototype, Porsche celebrated three straight victories in the LMP2 class from 2006 to 2008. The race takes off on Saturday, 20 October, at 11.30 hrs local time (17.30 hrs CEST) and runs for maximum ten hours. The event is shown on http://www.americanlemans.com/live. The GT qualifying can be seen live on Friday from 20.20 hours on http://www.porsche.com/alms-live. The American Le Mans Series (ALMS) was created in 1999 for sports prototypes and GT vehicles. The field is divided into five classes: GT, GTC, LMP1, LMP2 and LMPC. All classes start together but are classified separately.